Two years ago, 3,600 young athletes made history by competing in the first Youth Olympic Games (YOG) in Singapore. Fast-forward to 2012, and 150-plus of those same athletes are making history again by not only competing but also medalling in the London 2012. Indeed at the half-way point, the YOG graduates have already made their mark on the Games by claiming an impressive 12 medals. With the tally including three gold medals, three silver medals and five bronze medals, if the YOG were a country it would currently be in 11th place in the medals table. Many of them still teenagers, this pool includes athletes from over 80 NOCs competing in 19 sports. Among those flying the flag for the YOG are South Africa’s Chad le Clos, who dazzled the world when he beat defending Olympic champion and YOG Ambassador Michael Phelps in the 200m butterfly to take gold; Jangmi Kim of South Korea, who showed true courage to hold on to her lead in the 25m pistol final despite strong competition for the top spot. Elsewhere, Sam Oldham and his team made history by winning the first GB medal in men’s gymnastics for 100 years when they claimed third place in the team all around. 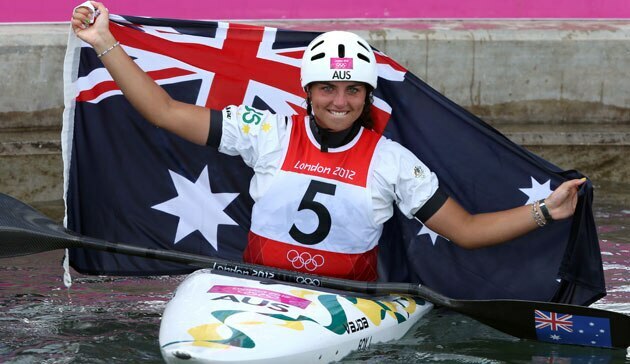 Mexico’s bronze medallist Mariana Avitia also made the history books as the first archer from her country to medal in the sport at an Olympic Games; and Australia’s Jessica Fox achieved what her mother set out to do in the Atlanta 1996 Olympic Games, by beating K1 canoe slalom legend Stepanka Hilgertova to achieve silver. Not content with one medal, Russian artistic gymnast Viktoria Komova is also of particular note, winning silver in both the individual and team all around. Fast becoming a poetic demonstration of the legacy of the YOG, these Games are far from over for the Youth Olympic Games alumni. Still to come, world champion diver Qiu Bo, from China, will aim for gold in the 10m platform; Great Britain’s Jade Jones has her sights set on a medal in the Taekwondo 57kg; and Angelica Bengtsson of Sweden takes on YOG Ambassador Yelena Isinbaeva in the pole vault. Two years ago, these young athletes were experiencing the biggest competition of their young lives at the first Youth Olympic Games in Singapore. The lessons they learned then, through both the sports competition and the culture and education programme, have helped shape them into the Olympians they are today – shining ambassadors for their country, their sport and the YOG.